A Night In Ferguson is a political solitaire game about the 2014 protests in Ferguson, Missouri following the killing of Michael Brown Jr. by police officers. 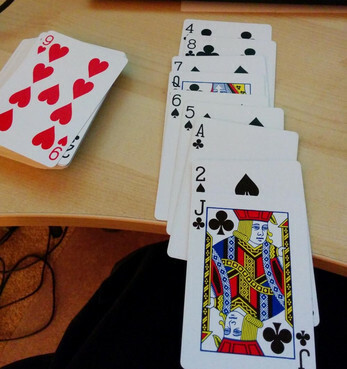 In this game, you will use a deck of ordinary playing cards to play the part of the protesters trying to gather before the police arrive to break up your protests. This game was originally released in August of 2014 to raise money for Amnesty International's efforts in Ferguson. This re-release has had minor updates but the core rules remain the same. This download includes a PDF detailing the rules of the game. You will need to supply your own deck of cards.